I cut the soaps that I made yesterday. Overall good news! 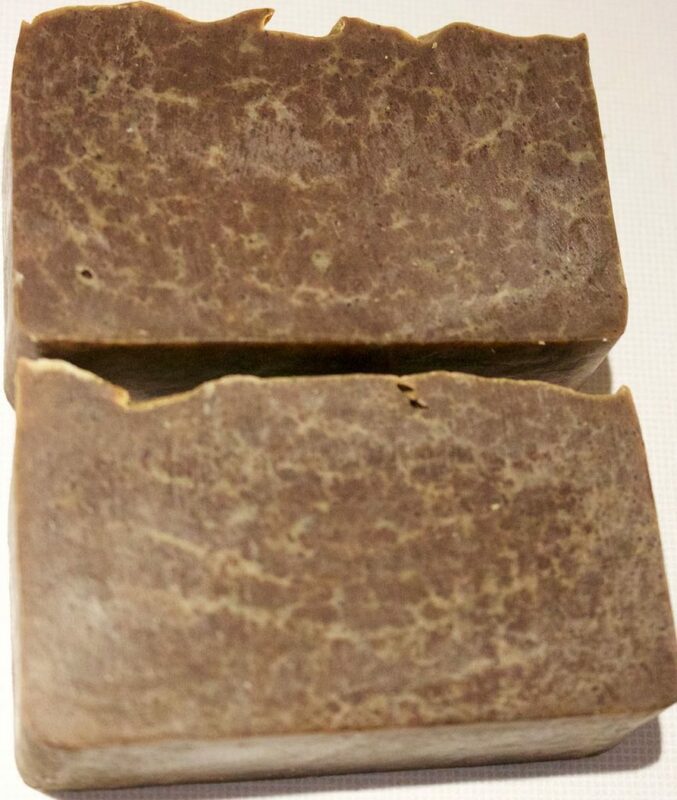 Like all new soaps they smell of lye but I can also get a bit of coffee and chocolate in the coffee soap and the warm ‘graham cracker’ scent that I like in the oatmeal honey. 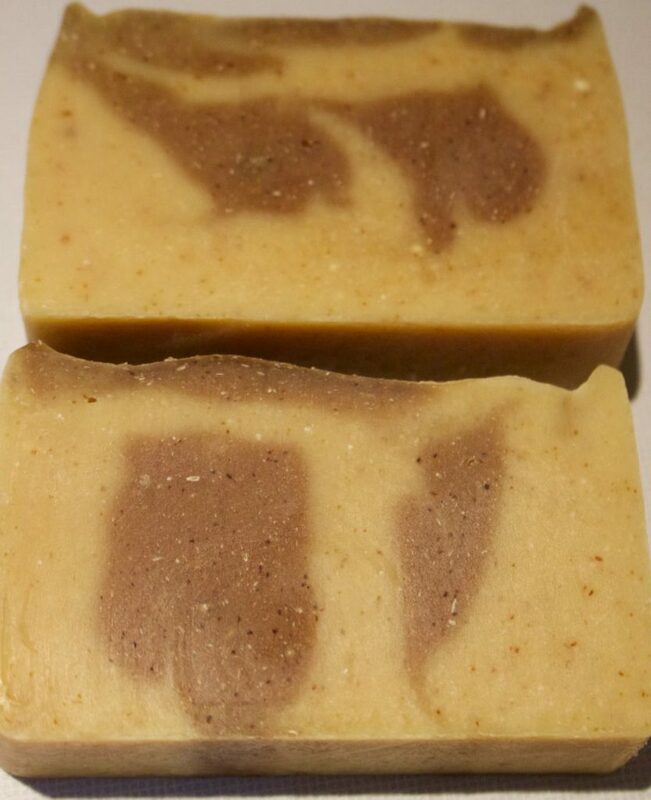 Both batches have some vanillin powder in them which will turn soap dark brown. I mixed it in uniformly in the coffee soap, but I made a swirl of it in the oatmeal. Today the swirl has already started to darken. The dark specks in the brown patches are vanillin, the dark specks in the light part are oats. I expect the dark swirls to go much darker than they are right now. Unexpected results: The coffee half heated up more than the oatmeal and the areas that fully gelled have this ‘crackle’ effect. I’ve never seen that happen before in a soap that didn’t have titanium dioxide and I wonder if I have just managed to create something new. In a soap with oxides, this is called ‘glycerin river’ it’s harmless, but rather interesting.